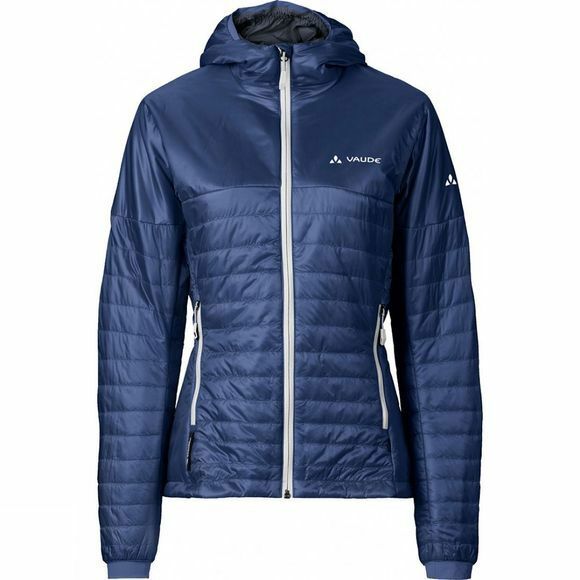 The lightweight Womens Freney Jacket III is thin, filled with PrimaLoft Silver Insulation Eco and has a small pack size. For more freedom of movement and ventilation while mountaineering, stretch panels are incorporated under the armpits. Ideal for cold and changeable climate, since the water-repellent synthetic fibres from recycled polyester insulate reliably even when wet. 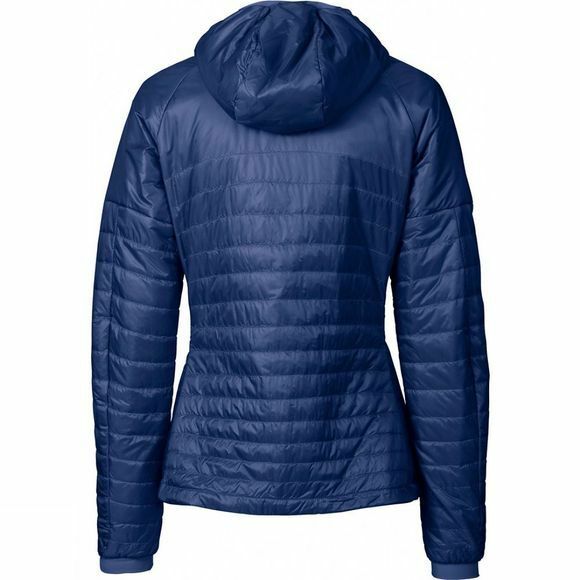 Can be worn as an insulating midlayer or as comfortable outer layer. The high-quality Pertex Quantum shell fabric scores with low weight and high abrasion resistance, also the materials are certified to the environmentally friendly bluesign standard. This product is made with eco-friendly water-repellent finish environment without fluorocarbons (PFCs). Green Shape is your Vaude guarantee for environmentally friendly products–from sustainable materials, resource-efficient manufacturing and fair production.